1. No country [would] ever allow the IAEA to inspect its military sites because the agency is missioned to merely visit nuclear sites, and non-nuclear military bases [are not] covered by its inspections [authority]. 2. In order to prove its goodwill and reveal [the] falsehood of the Western media propaganda, Iran has already allowed IAEA inspectors to visit the site twice in 2005, and after each visit, the inspectors said nothing illegal had been found there. Olli Heinonen, the deputy to the then director general of the IAEA, Mohamed ElBaradei, had orally promised that if Iran allowed inspection of the military site in Parchin, they would announce once and for all that Parchin is a non-nuclear site and would need no further inspection. However, as the agency’s deputy director general for safeguards changed, the new deputy, Herman Nackaerts, announced in 2011 that Parchin site needs to be inspected again in the light of alleged studies whose information had been provided by some member states of the agency. This issue has caused Iran not to trust the promises given by the IAEA officials anymore. 3. Following three rounds of negotiations with delegates of the IAEA, Iran announced that the agency would be able to revisit Parchin site if two conditions are met. Firstly, they should promise that following the visit, there would be no further request to inspect Parchin again. Secondly, documents related to the agency’s alleged studies should be made available to Iran in order to make it possible for Tehran to evaluate that information and give an appropriate answer. The IAEA, in return, responded to Iran’s logical request by claiming that countries providing information about the alleged studies would not allow copies of those studies to be provided to Iran. As a result, the agency rejected Iran’s request and denied the Islamic Republic of an opportunity to defend itself by alleging that the IAEA, an impartial international organization, is competent enough to verify the studies. 4. The Islamic Republic of Iran expects the IAEA to guarantee that after its inspectors visit the military site at Parchin, there would be no leak of confidential information related to this non-nuclear military site and such information remain secret. This is a result of the background of the IAEA’s performance in similar cases. For example, during the agency’s work in Iraq, information related to non-nuclear military sites of that country were made available to other states a few years before military invasion of Iraq by the United States. Of course, the United States announced that it had not gained that information through the IAEA inspectors, but at any rate, the leak of confidential information about Iraq’s military sites dealt a drastic blow to credit of the agency regardless of the source of the leaked information. At present, Iran is also ready to cooperate with the agency on all issues provided that the cooperation is mutual and based on a correct understanding of Iran’s security considerations. Insurgents in the Syrian capital Damascus have attacked Press TV staff, killing the Iranian English-language news network’s correspondent Maya Naser, and injuring its Damascus Bureau Chief Hossein Morteza. Naser came under attack while reporting on air just hours ago. He was shot and killed by a sniper. 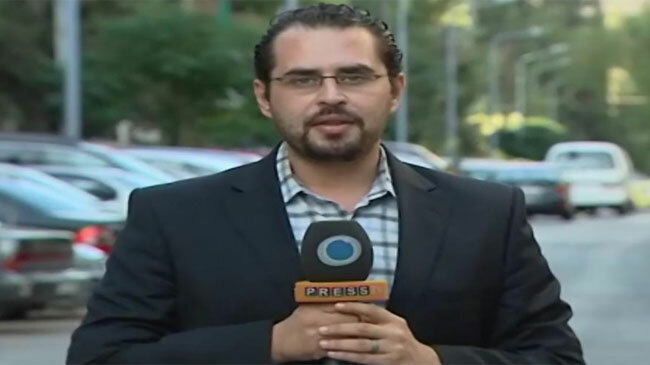 Press TV and Al-Alam Damascus Bureau Chief Hossein Morteza also came under attack and was injured. The two were covering twin blasts in Damascus and the ensuing fighting. “We hold Turkey, Saudi Arabia and Qatar, who provide weapons and militants to kill civilians, military personnel and journalists, responsible for killing Maya,” Press TV’s News Room Director Hamid Reza Emadi said. “Press TV will pursue the matter of the murder of Maya and would not let those who killed the correspondent feel like they can kill the media people and get away with it,” he emphasized. Syria has been experiencing unrest since March 2011. Damascus says outlaws, saboteurs, and armed terrorists are behind the unrest, but the opposition accuses the security forces of being behind the violence. These are just a few of the extraordinary victories this year in the movement to end U.S. institutional support for Israel’s violations of Palestinian rights. Many more are surely on the way, as many campaigns forge ahead. This Thursday, September 27, 2012, the Minnesota Court of Appeals will hear arguments in an appeal brought by member group Minnesota Break the Bonds Campaign against the Minnesota State Board of Investment. In the California Bay Area, a new campaign to Stop HP — led by member groups Friends of Sabeel, UC Berkeley Students for Justice in Palestine, Bay Area Campaign to End Israeli Apartheid, American Friends Service Committee, Global Exchange, Middle East Children’s Alliance, Jewish Voice for Peace and others — is collecting pledges from individuals and organizations to boycott the company until it ends its complicity with the Israeli occupation.